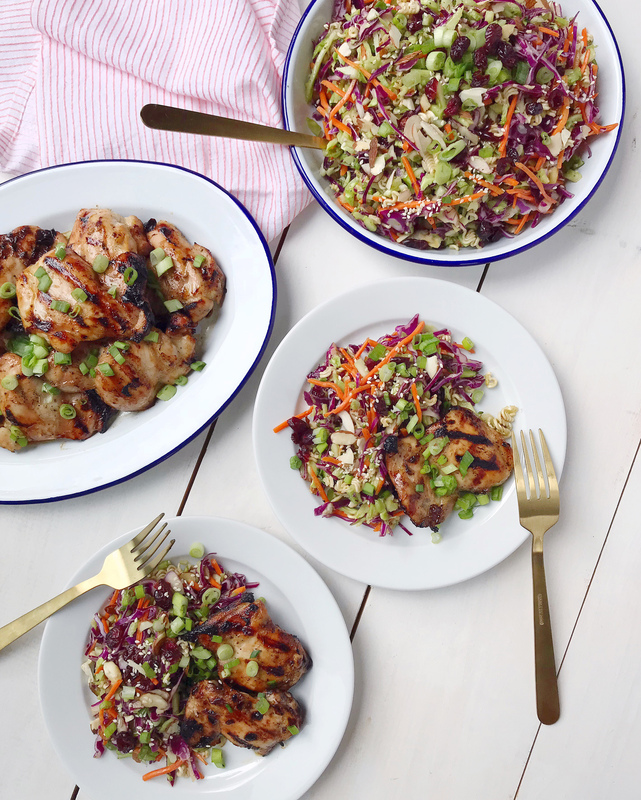 Sesame Ginger Chicken and Broccoli Slaw. 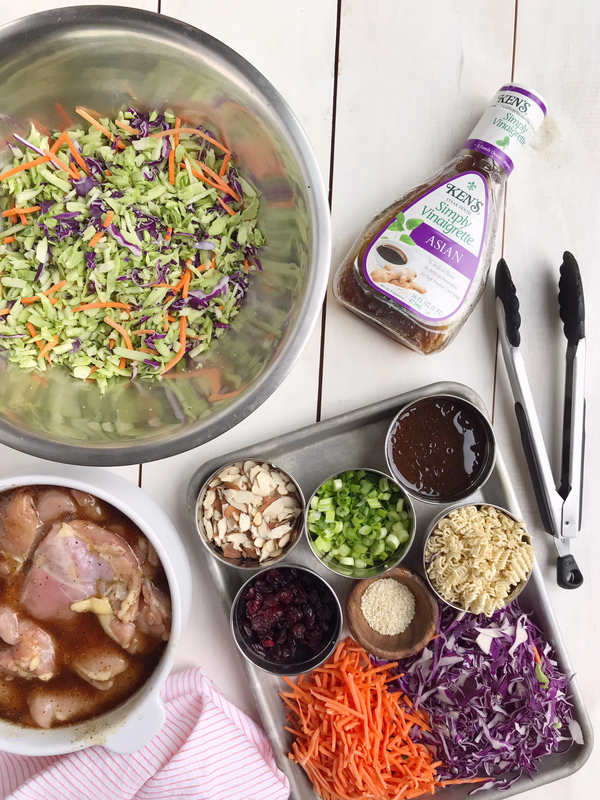 Coat the chicken thighs with 1 Cup of Ken’s Simply Asian Vinaigrette and season lightly with salt and pepper. Set aside to marinate in fridge for at least 30 minutes. 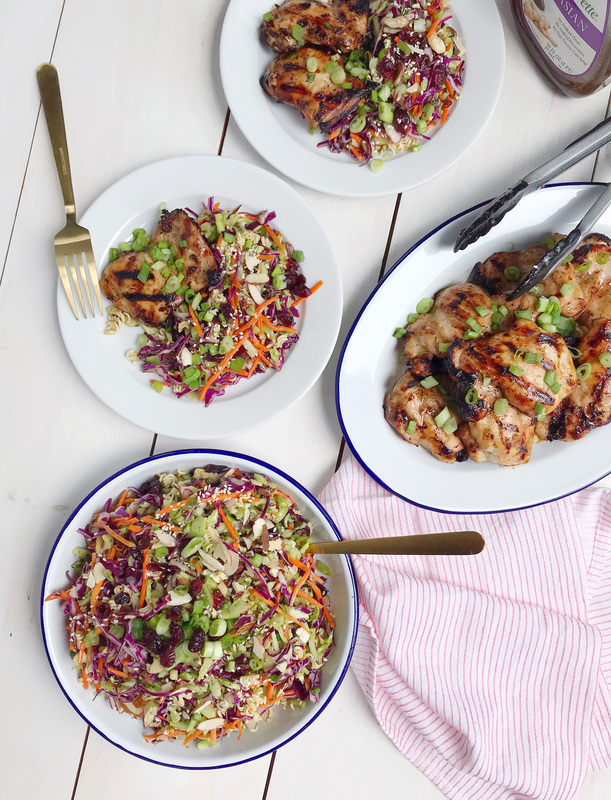 While chicken is marinating, prepare the slaw. 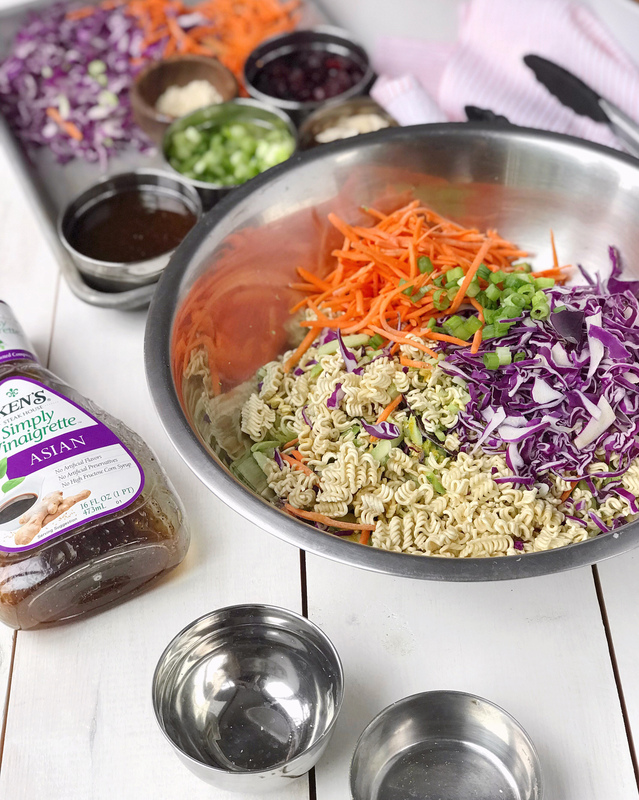 Combine ½ cup of Ken’s Simply Asian Vinaigrette with ½ spice packet from the ramen noodles. Crush ramen noodles into small bite sized pieces and toss with the dressing. 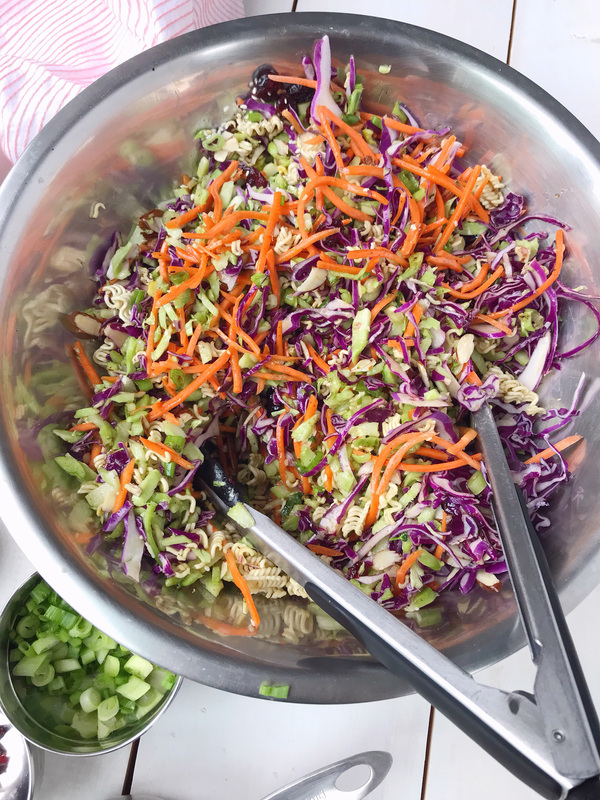 Add in red cabbage, broccoli slaw, and shredded carrots; toss to combine and coat with the dressing. 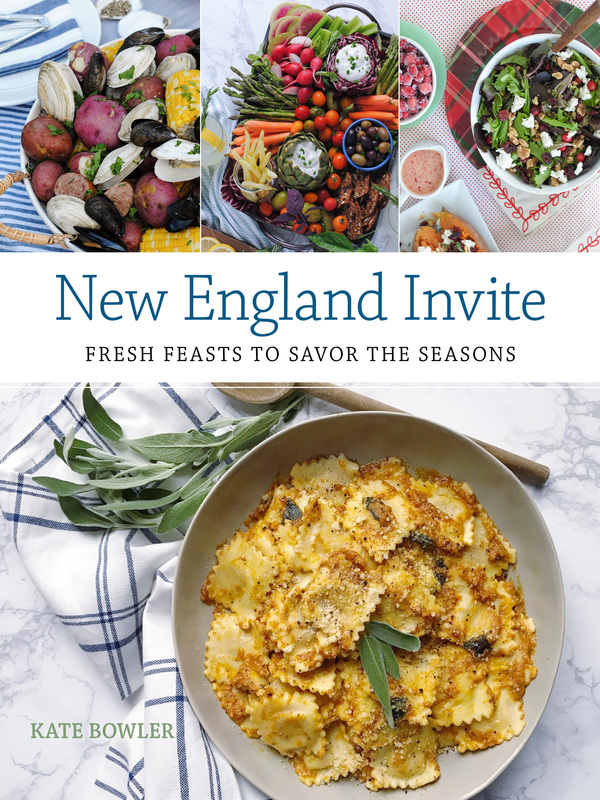 Fold in sliced almonds, dried cranberries, sesame seeds, and scallions. Let the mixture marinate for at least 30 minutes. 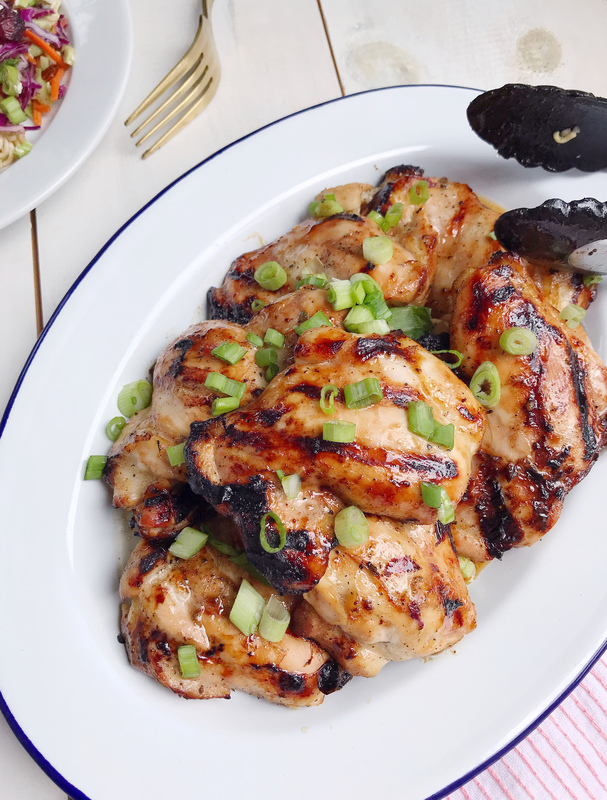 Pre-heat your grill to medium-high heat and place your chicken thighs on the hot grill to cook through. 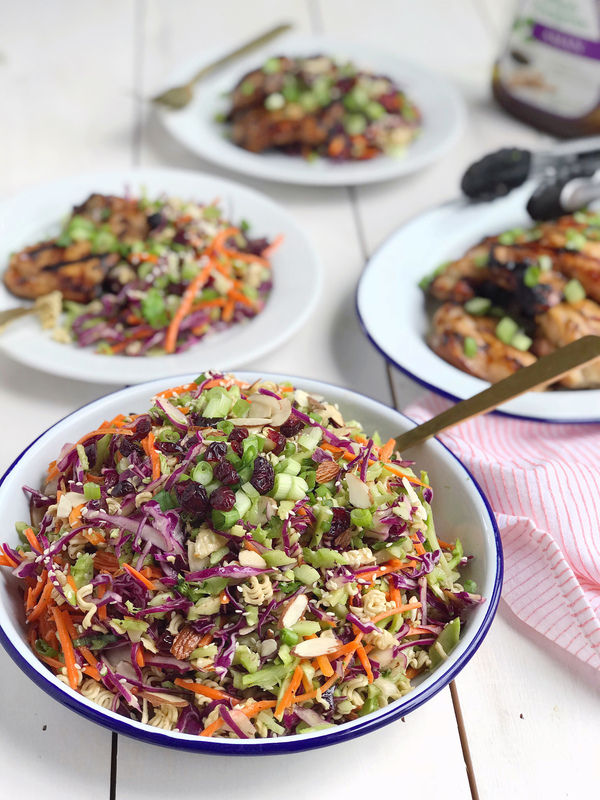 Remove from grill once they reach an internal temperature of 165 degrees F, and let them rest for 5 minutes before serving over the broccoli slaw. Garnish with additional sesame seeds and chopped scallions; season with salt and pepper to taste. Burrata and Panzanella Stuffed Tomatoes. Chocolate Dipped Sprinkle Cones.